Suvi has been dancing since she was a little girl. It naturally started with classical ballet classes. After 10 years of ballet training she concentrated more on rehearsing flamenco, oriental belly dance and Russian gypsy dance as it felt the right direction to go to. Hence, it truely started a colorful dance journey of various performances, shows, theatre, tv, music video & art projects, teaching, learning, traveling, rehearsing, different cultures and people. Suvi studied oriental dance with Finnish top teachers, in addition she has taken workshops and classes from international oriental dance stars in Moscow, Tallinn, Stockholm, Rome, Thessaloniki, Cairo and Los Angeles. In Egypt Sharm el-Sheik she worked some time with Vanessa Productions dancing in holiday resort 5 star hotels. In Los Angeles Suvi did also some music video work for Sphinx Records and performed on belly dance clubs, she had also a possibility to elaborate the KCRW Halloween party stage with modern circus rebels Lucent Dossier. In Helsinki and Finland Suvi performs a lot in many dance & music projects, festivals, clubs, theatres, restaurants and numerous private parties. Suvi does also dance teaching & private classes by request. In 2013 started cooperation with Porvoon Teatteri with a musical Gypsy Camp Vanishes into the Blue and work continued with Christmas Cabaret. 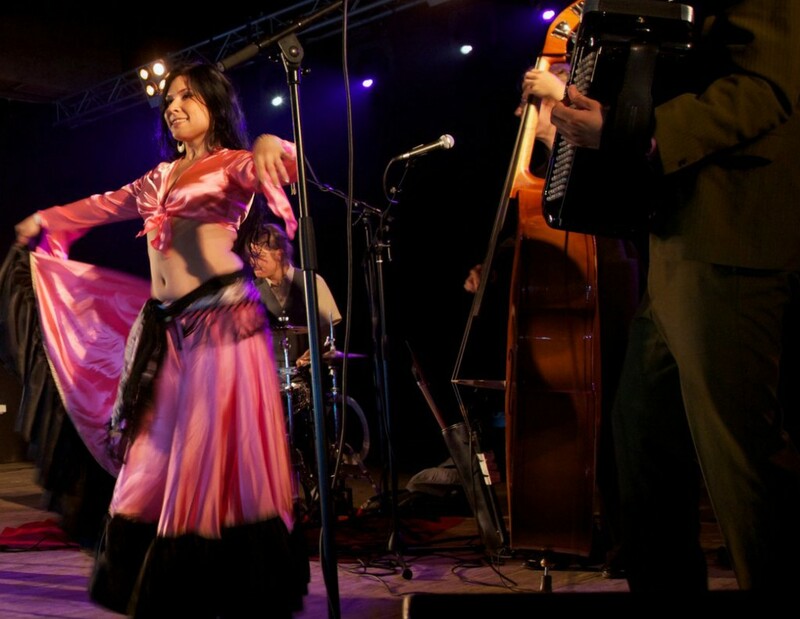 In the musical Suvi starred as a gypsy dancer and in the Cabaret as an oriental belly dancer. Suvi also did a role as a flamenco dancing gitana in the play about painter Albert Edelfelt’s life. The most recently she choreographed and trained Russian gypsy dances to the theater’s musical Makar Tsudra. This musical was also the evening program for the international Roma council meeting in Helsinki arranged by Ministry of domestic affairs.